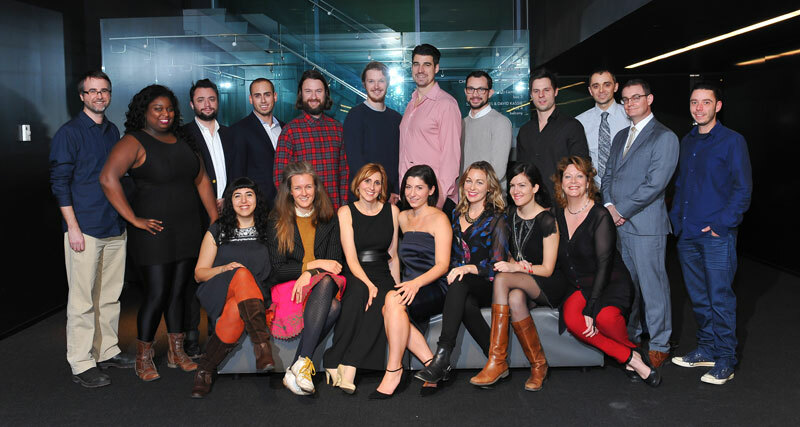 Our 19 film residents at the 2015 Cineplex Entertainment Film Program Showcase. In case you hadn’t noticed the holiday cheer in the air (no thanks to this unseasonably balmy weather), the holidays are fast approaching. For us at the CFC, it’s also a most festive time of year – time for the annual Cineplex Entertainment Film Program Showcase. Held yesterday evening at TIFF Bell Lightbox in Toronto, this is an event that, well, showcases promotional teasers of 15 feature projects that are currently in development, created by the residents of the Cineplex Entertainment Film Program. So, while you’ve been busy decking the halls with boughs of holly and rocking around the Christmas tree, our film residents have been hard at work creating promotional pieces for their feature projects over the past six weeks. They brought their feature concepts to life through these promotional videos, complete with original footage, stock footage, VFX, graphics, editing, and original music. Each piece provided the filmmakers with the opportunity to explore a concept, theme, story, or character(s) in their own original and unique voice. The 15 pieces were created by the five directors, five producers, and five writers, were all edited by the four talented editors, and each video features original music created by our incredible Slaight Music residents. Congratulations to our 2015 Cineplex Entertainment Film Program on their amazing work in these promotional pieces, and throughout their residency at the CFC. We look forward to seeing the impact that this latest group of residents will make on the screen-based entertainment industry worldwide and to the stories they will continue to tell. The CFC extends our sincere thanks to our many wonderful supporters who make the Cineplex Entertainment Film Program possible year after year, including, but not limited to, Cineplex Entertainment, the Government of Ontario, our many corporate and individual partners, and our unparalleled program mentors. And a special thank you to all of you who made it out to our event last night (did we mention the theatre was PACKED?). We are so grateful for your continued support and investment in our talent and in the future of our creative industries. 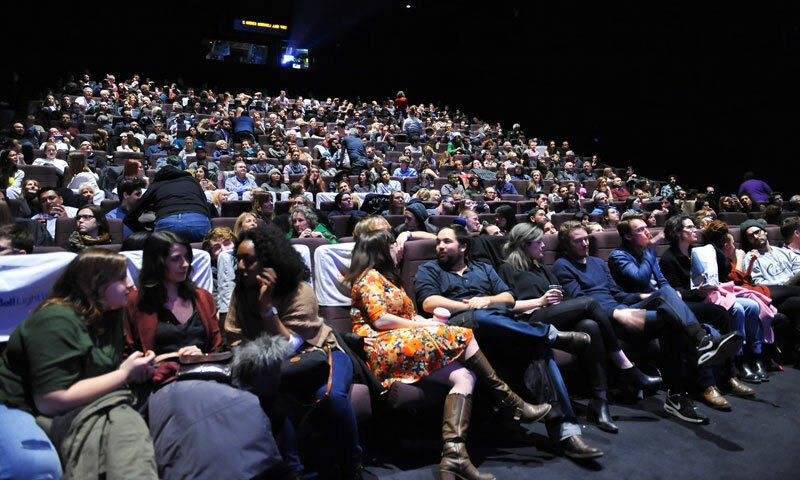 A packed house at the 2015 Cineplex Entertainment Film Program Showcase. One more piece of news for you accomplished and aspiring filmmakers: applications are now open for the 2016 Cineplex Entertainment Film Program. Think you have the chops to be one of our next director, producer, writer or editor residents? Visit the individual Lab pages now for more information on the program and to APPLY! For more information on the 2015 Cineplex Entertainment Film Program Showcase, CLICK HERE. To see more photos from the 2015 Cineplex Entertainment Film Program Showcase, CLICK HERE.